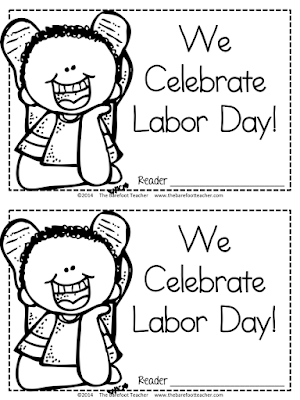 How can it be that Labor Day is already upon us?! My kids have been in school for over two weeks now. I'm curious to hear when you went/go back. 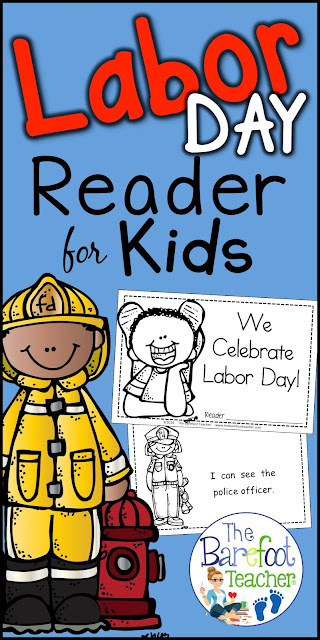 Since it kinda just snuck up on me, I'm going to cram this post in real quick so that you'll have a few extra Labor Day ideas for your littles. 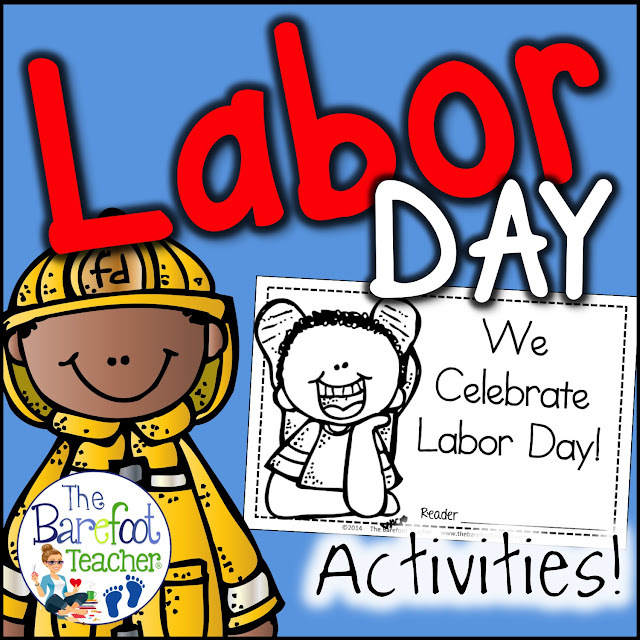 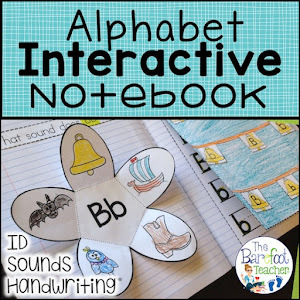 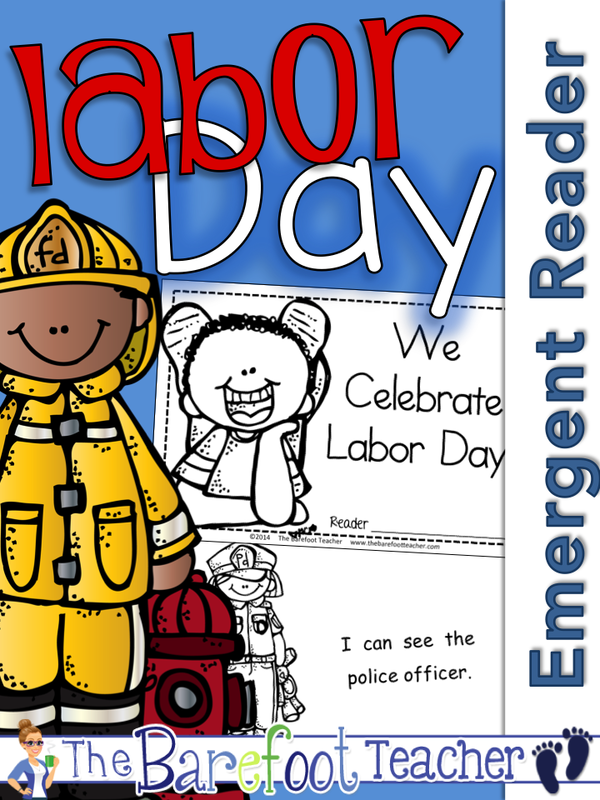 Here is a Labor Day Emergent Reader you can use over the next few days (or even next week) to reinforce the high frequency words "I", "Can", & "See" while celebrating Labor Day at the same time. 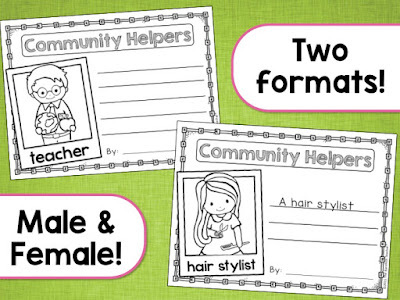 The book is 12 pages total and is created two to a page for easy copy machine copying, stapling, and slicing. 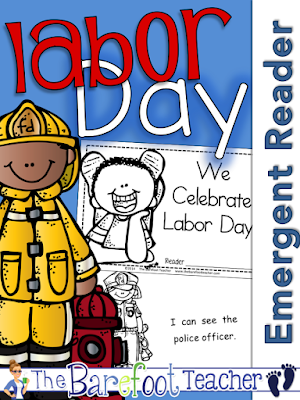 We tie in Labor Day with our Community Helpers unit. 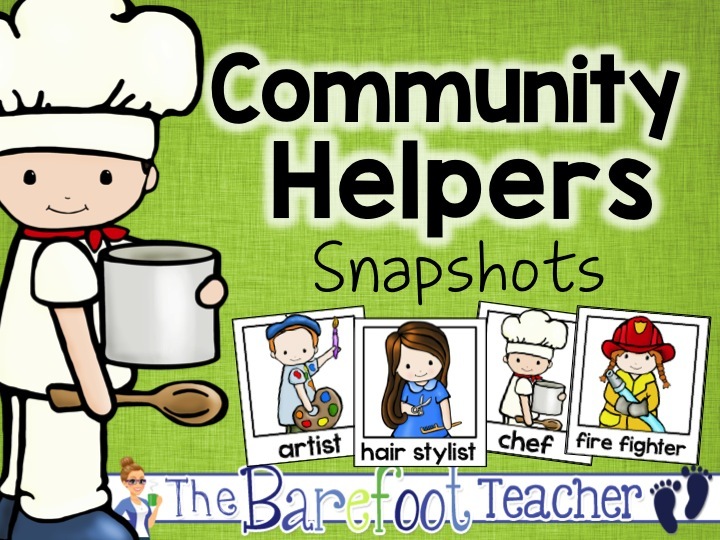 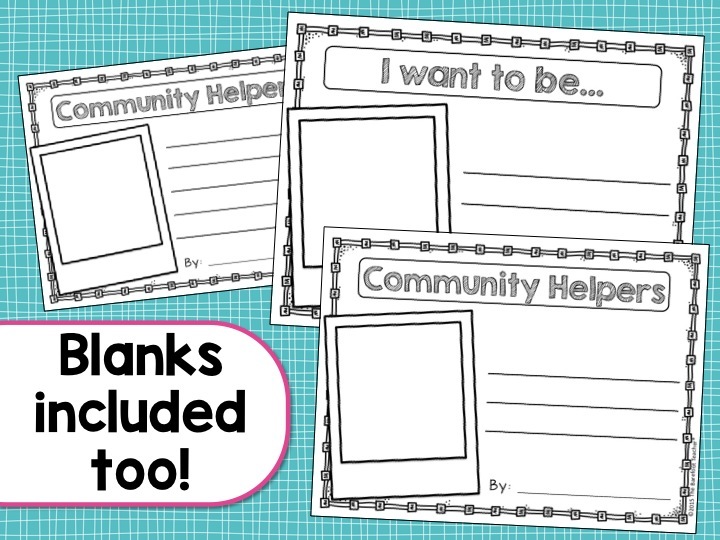 Here are a couple of Community Helpers activities to add to your plans. 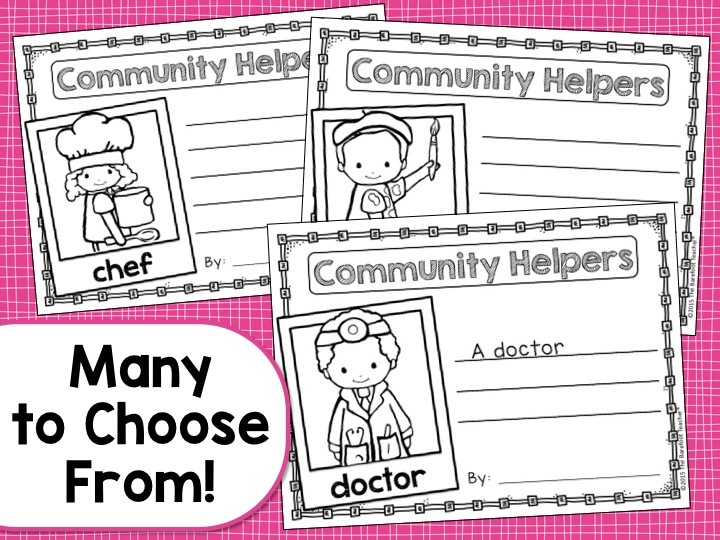 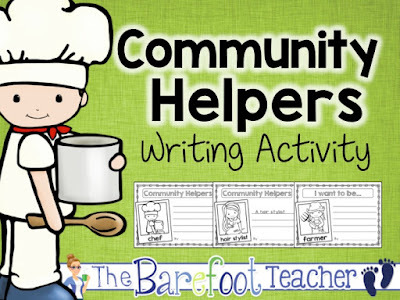 These Community Helpers Writing Activity papers are great for a bulletin board or hallway display. Many occupations are included, most coming in both male and female characters. 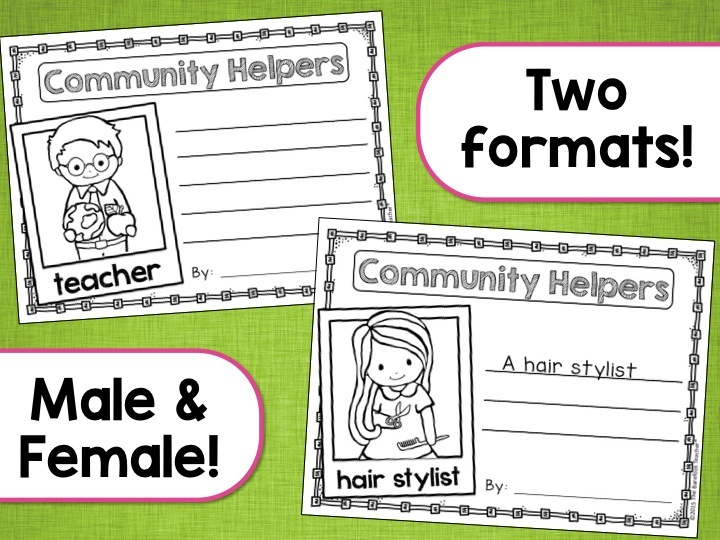 Two different formats allow you to choose what's best for your students. 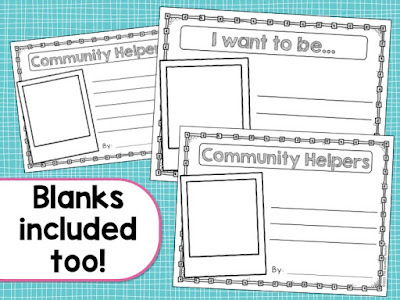 PLUS, there are blank ones so that your littles can write about what they would like to be when they are older. 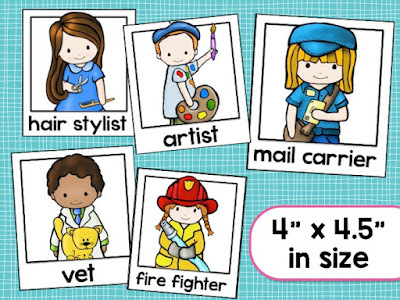 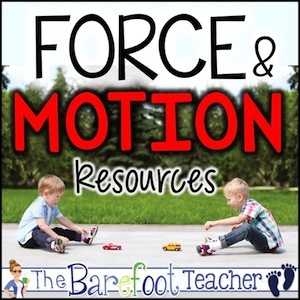 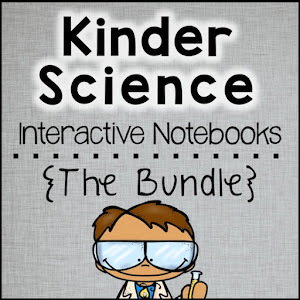 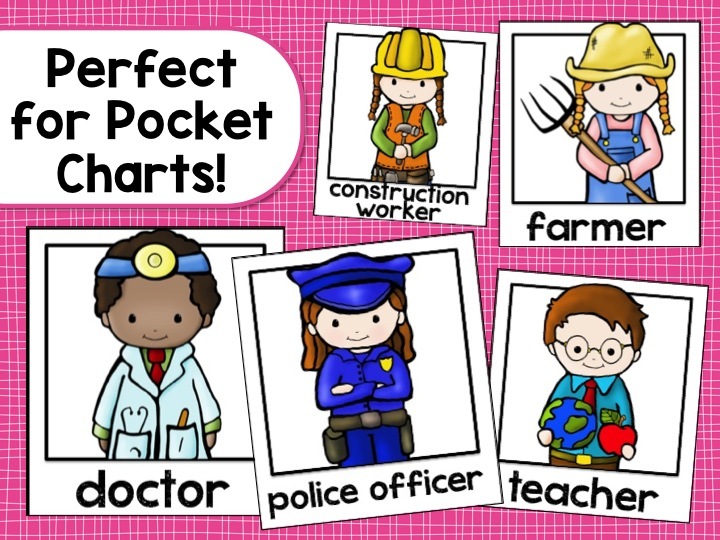 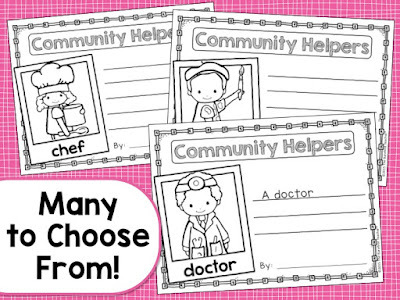 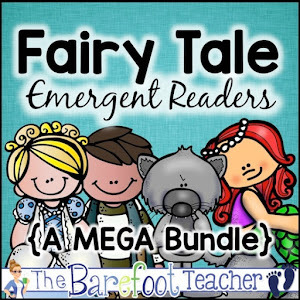 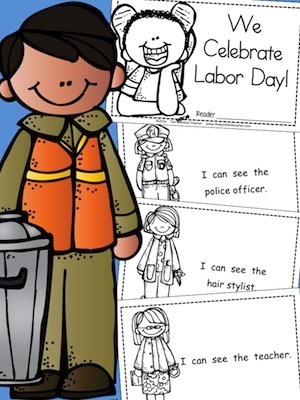 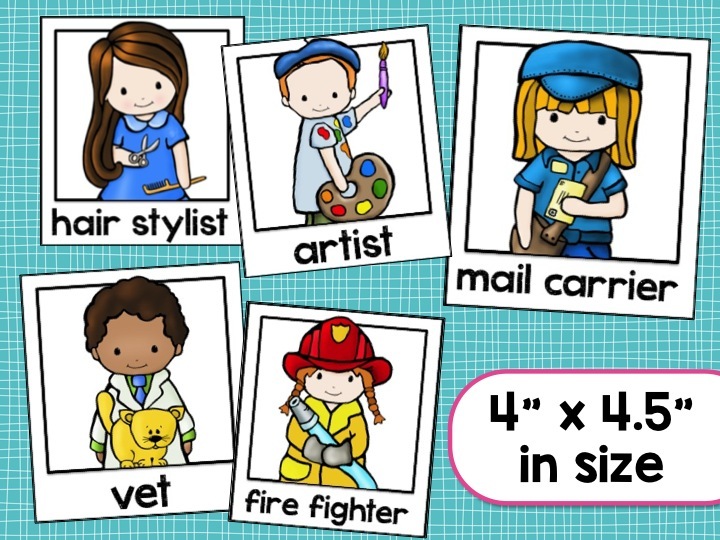 Pocket chart pieces are a must for your Community Helpers unit. 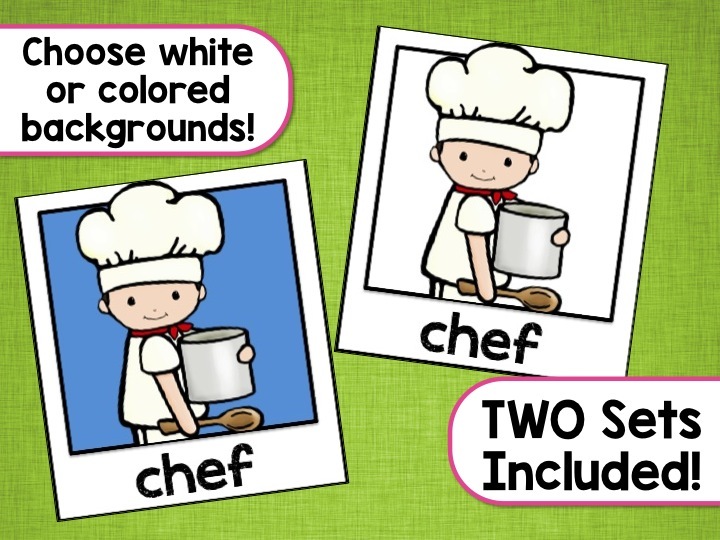 Choose from a full color version, or a less-ink one. 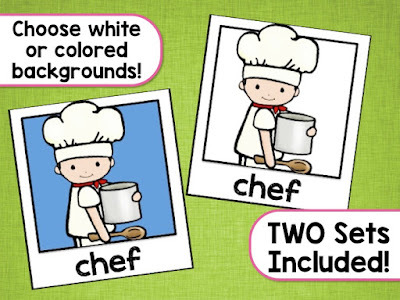 Each snapshot is 4"x4.5" in size.